Opening on Nov. 19 is the museum’s big winter exhibition Harajuku: Tokyo Street Fashion. 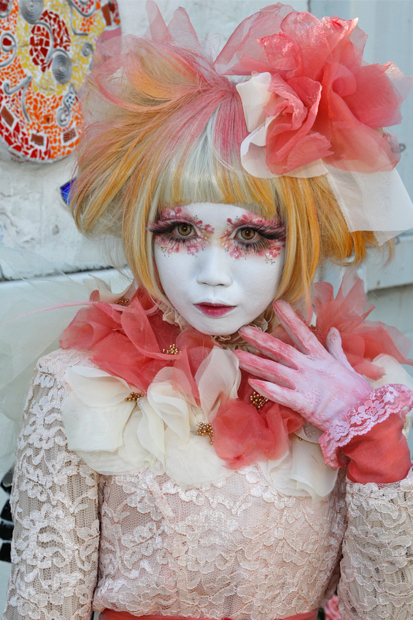 The show will transport visitors to the whimsical world of Harajuku fashion. During the exhibition, which is on view through April 6, our Symbols of Identity guided school tour will include a visit to Harajuku: Tokyo Street Fashion. On the tour, students will study portraits and textiles to understand expressions of individual and group identity. They will examine how art conveys identity through symbolism, artistic expression and context, through the artist’s choices and the viewer’s perceptions. A docent-led art project is included in the free tour. This tour is designed for grades 5-12. Learn more about this FREE tour here. Sign up for this FREE tour here.